My homage to Andy Goldsworthy, originally uploaded by phlegmmy. 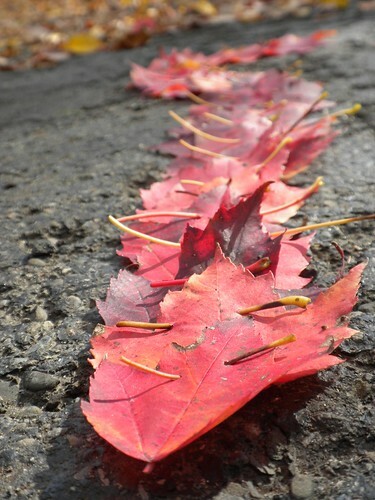 My homage to Andy Goldsworthy--leaves "stitched" together with their own stems. Goldsworthy made a very long chain and floated it down a river and it was beautiful. MIne was about 18 inches long and in my driveway.